Launched in 1978, Simon became an immediate, widespread success, and continues to be one of the top electronic handheld games on the market. 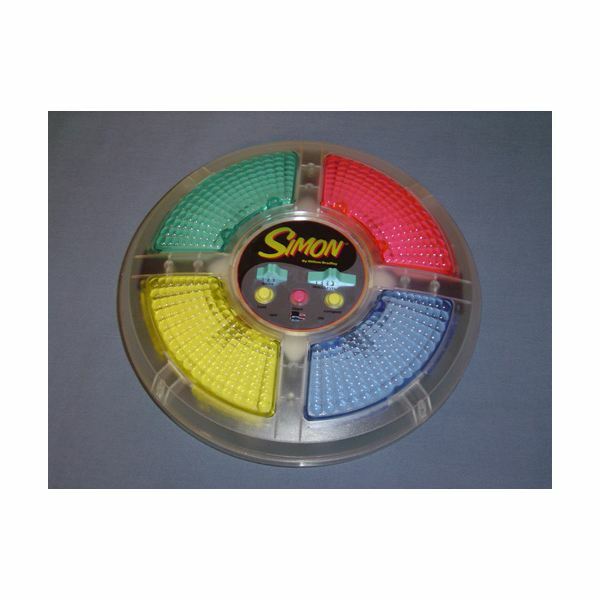 Simon is a disc with four unique colored buttons that light up and chime in sequences that must be repeated by the player. Mess up a sequence, and Simon lets out an unpleasant, discouraging buzz. Of course, you probably already know this, especially if any of your childhood spanned the 80s. 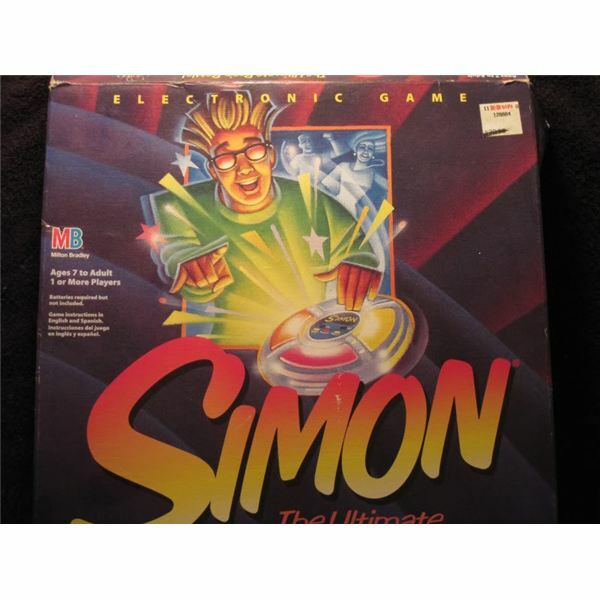 Simon Trickster is an adaptation of the original Milton Bradley Electronic Simon Game, which has the original Simon in one game mode and introduces three new variants. "Simon Bounce" bounces the colors from lens to lens, so you must match the sequence without having the benefit of stationary colors. "Simon Surprise" removes the benefits of colors completely, making every lens the same color. 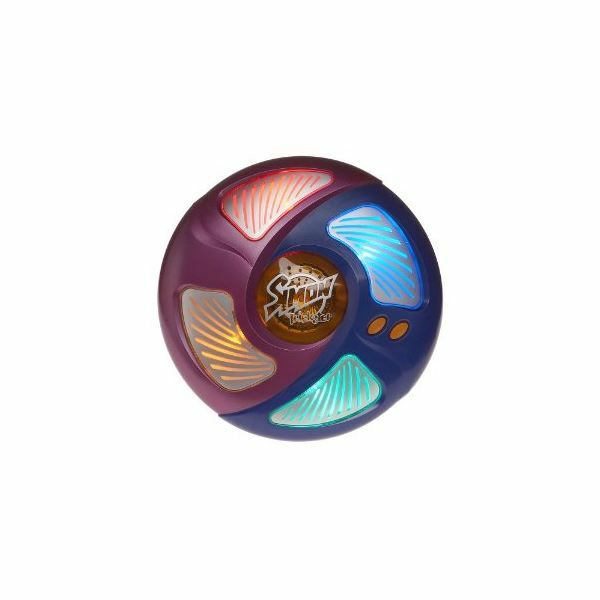 And "Simon Rewind" which is traditional electronic Simon Says that must be solved backwards. Released in 2005, Simon Trickster is no longer available at traditional retailers. Instead, you will have to check out eBay or Amazon, where this rare piece of Simon memorabilia is for sale new in the box at the rock bottom low price of $189.99. If you don't mind used games, you can pick it up for about $25. Not long after the release of the full sized Electronic Simon Says game, a handheld version was also released. Dubbed Pocket Simon, the handheld version was a smaller, portable version of Simon Says that looked similar to its fullsized namesake, although it was pretty large to be carrying around in your pocket. The conversion of fullsized Simon to mini-Simon continued with every reproduction of the Milton Bradley Simon Electronic Game, with some units offering full playability and functionality, and others (like the keychain Simon pictured to the left) offering limited game modes and difficulties. 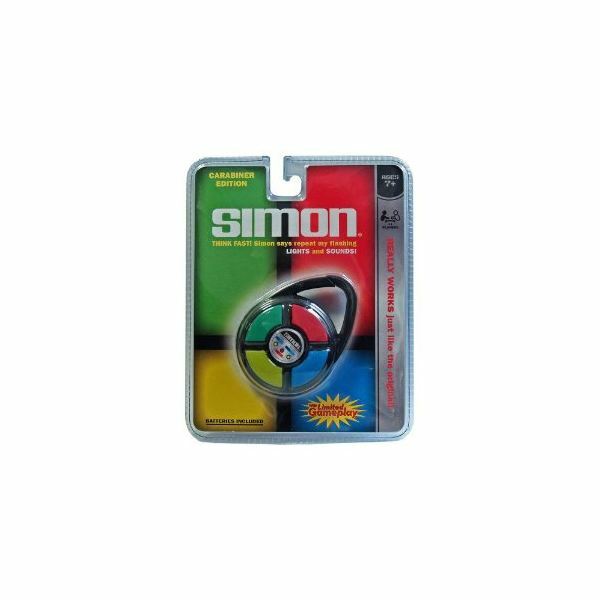 You can pick up a keychain Simon today on Amazon for about $10.00.